The United States Marine Corps, with its proud tradition of excellence in combat, its hallowed rituals, and its unbending code of honor, is part of the fabric of American myth. Making the Corps visits the front lines of boot camp in Parris Island, South Carolina. Here, old values are stripped away and new Marine Corps values are forged. 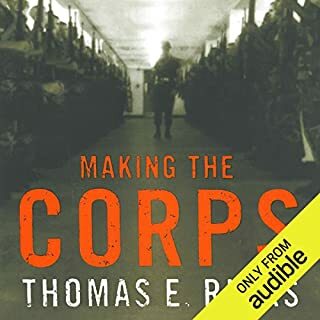 Best-selling author Thomas E. Ricks follows these men from their hometowns, through boot camp, and into their first year as Marines. Enjoyed but not quite the story I was looking for. For the better part of the last half century, the United States has been the world's police, claiming to defend ideologies, allies, and our national security through brute force. But is military action always the most appropriate response? Drawing on his vast experience, retired four-star general Tony Zinni argues that we have a lot of work to do to make the process of going to war-or not-more clear-eyed and ultimately successful. When Donovan Campbell's platoon deployed to Ramadi in the spring of 2004, they believed they'd be spending most of their time building schools, training police, and making friends with the citizens. But shortly after arriving, when Campbell awoke to the chilling cry of "Jihad, Jihad, Jihad!" echoing from minaret to minaret across the city, he knew they had an altogether different situation on their hands. A former captain in the Marines' First Recon Battalion, who fought in Afghanistan and Iraq, reveals how the Corps trains its elite and offers a point-blank account of twenty-first-century battle. If the Marines are "the few, the proud", Recon Marines are the fewest and the proudest. Only one Marine in a hundred qualifies for Recon, charged with working clandestinely, often behind enemy lines. 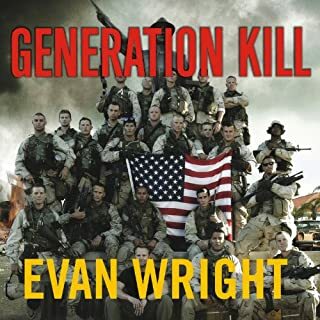 Fick's training begins with a hellish summer at Quantico, after his junior year at Dartmouth, and advances to the pinnacle, Recon, four years later, on the eve of war with Iraq. 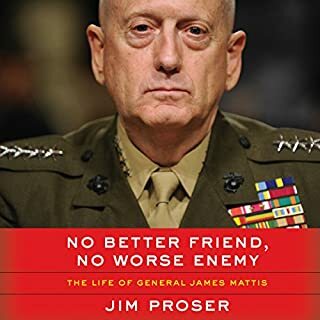 Along the way, he learns to shoot a man a mile away, stays awake for 72 hours straight, endures interrogation and torture at the secretive SERE course, learns to swim with Navy SEALs, masters the Eleven Principles of Leadership, and much more. His vast skill set puts him in front of the front lines, leading 22 Marines into the deadliest conflict since Vietnam. He vows he will bring all his men home safely, and to do so he'll need more than his top-flight education. He'll need luck and an increasingly clear vision of the limitations of his superiors and the missions they assign him. 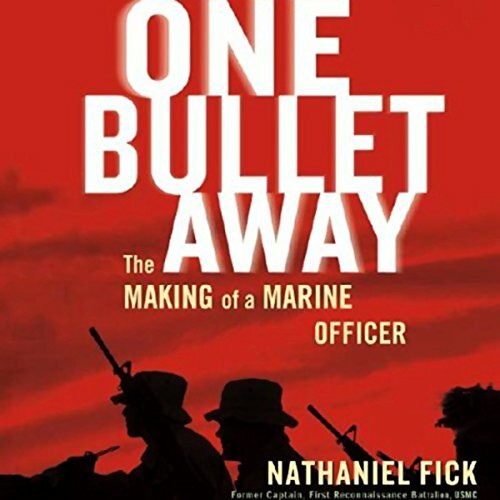 Fick unveils the process that makes Marine officers such legendary leaders and shares his hard-won insights into the differences between the military ideals he learned and military practice, which can mock those ideals. One Bullet Away never shrinks from blunt truths, but it is an ultimately inspiring account of mastering the art of war. ©2005 Nathaniel Fick (P)2005 Simon & Schuster Inc. All rights reserved. AUDIOWORKS is an imprint of Simon & Schuster Audio Division. I listened to the audiobook and then happened to correspond w/ the author. He recommended I read the book itself b/c the abridgment wasn't good in his estimation. After reading it I agree w/ him. It's a great and prescient account of a young Marine officer's training and the earliest days of the Iraq War by a thoughtful, dedicated leader of troops, and I recommend the story itself highly. But whoever abridged it did Capt Fick and his men a disservice. Better to listen to the audiobook than not experience the book at all, but the audio book does not do it justice. Would be 5 stars except that someone decided not to tape the whole book. Instead this Audible version only presents excerpts. A fact not mentioned when I bought it. C'mon Amazon-Audible please DO NOT DO THAT. If you're looking for support of your view on the wars in Afghanistan and Iraq, this is not the book to find it. 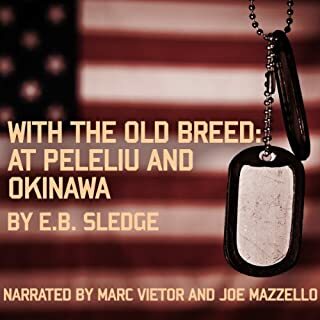 Rather it is a compelling listen from a dedicated Marine who begins his career with idealistic patriotism, and sees it morphed into a love of his comrades. You'll witness the journey from gung-ho officer candidate to combat leader to sober veteran. I finished this book with a greater appreciation for the dedication and sacrifice we ask of our military men and women, not only in terms of the risk to their lives, but the cost to them after their part in the wars are over. This book toned my political rhetoric down a few notches and it just might yours. I really enjoyed this book. I recommend it to anyone interested in what our troops are currently experiencing. 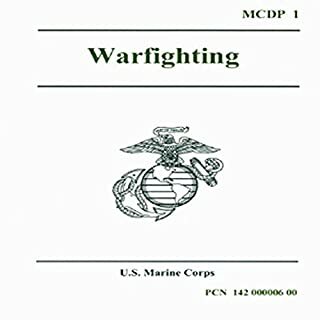 It helped me to understand what U.S. troops go through and how much they sacrifice. Great book for any military guru. Worth listening to but the full book is so good that it's a shame that it's shortened. My particular interest was in the making of a recon marine, as my dad was one in the Korean War. The rest was secondary for me. Thankyou, Nathaniel Fick. It was an insightful and interesting and amazing account of tough warriors who handle small children like butterflies, in the midst of war. His account of the psychology of the Iraqi people was wonderful to read, and puts tv reports in so much better perspective. This is a page-turner, and a gift to the informed American reader. This audiobook had me hooked from the start. The story is down to earth, not pro political propaganda or full of brovado, just an individual's experiences, both good and bad. The author shares his fears, thoughts and views and shares a very personal insight as to what it's like to got to war and then to come back home and readjust. I felt like I had come to know the author and was saddend when the audiobook came to an end. This is one book where I wish it was unabridged. Of particular interest was the descriptions of the pro's and cons of the military organisation, things they do well, things they don't do well - working for a large company I could relate exactly to these descriptions. The narration was excellent, low key but never boring or monotone, but added to the personalisation of the story (the author, Nathaniel was also the narrator). Congratulations Nathaniel on an excellent book - this is one of the most balanced down to earth accounts of life in the US Military that I have read/listend to. This is a must listen. One of the best audio books that I have listed to. The author creates a no-nonsense, straightforward image of who he is and what he experienced. I was particularly impressed with the complexity of his thought and the skill of his writing. I think that anyone who is interested in the life of a solider would like this. It was not a bad book. I found it very interesting, especially since I was in high school when the author was at war. What I did not like, was that the audio book was missing parts of the story that was in the hard copy of the book. I was using both the book and audio book in order to read through quickly for a class that I was taking, and it made it difficult. Perhaps the most and honest account of an experience as a marine officer. 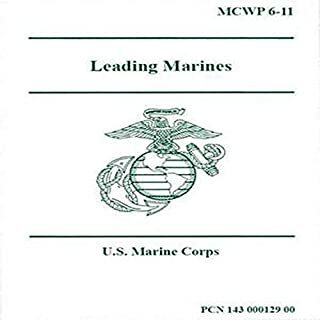 Very well written and honestly illstruative of the development as a leader and moral dihlmeas of combat as well as the issue of leadership in war.